Unique UCF gifts at the best prices. 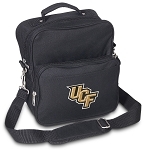 Official UCF merchandise- up to 10% returned to support Central Florida programs. 100% Satisfaction Guaranteed! Deluxe University of Central Florida Grandma Apron Pink - MADE in the USA! Deluxe University of Central Florida Mom Apron Pink - MADE in the USA!